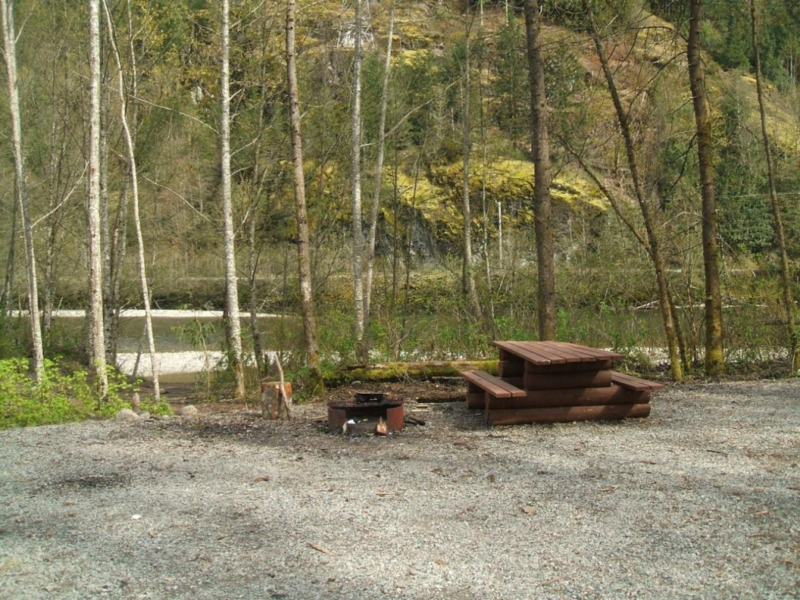 Site Description: This site has 9 tent pads, tables, fire rings and 2 outouses. 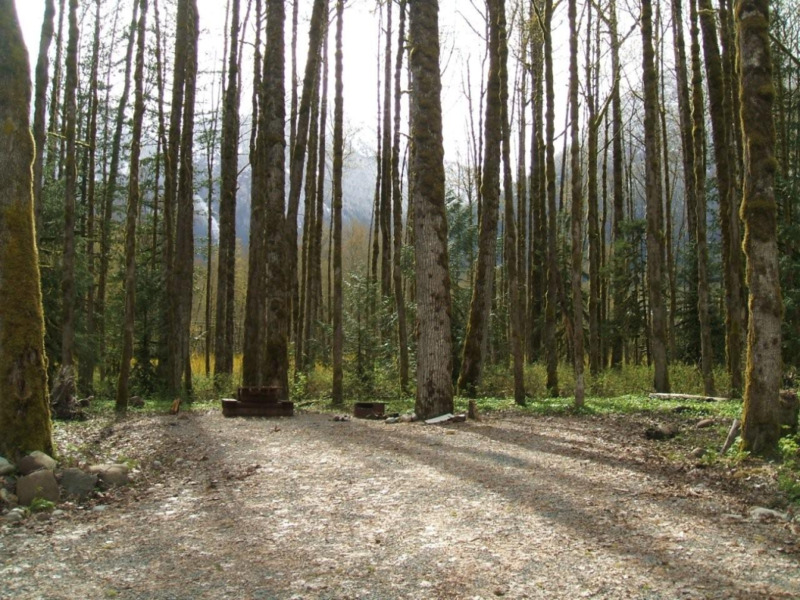 Beautiful site beside the Squamish River, close to the Ashlu Creek. Very popular for fishing. Pack out all garbage and refuse-there is no garbage pick-up service, and therefore no camping fees at this time. Wheelchair accessible toilet on site. Driving Directions: From the town of Squamish, drive North on HWY 99. Turn LEFT at Squamish Valley Road, which is across the HWY from the Alice Lake Park turn off-a sign on the left side of the HWY says "Paradise Valley campground" at the junction as well. Stay on this road for several km's, over the train tracks, and then over a bridge which spans the Cheakamus river. The road will fork, stay left. Stay on the left fork for several km's. 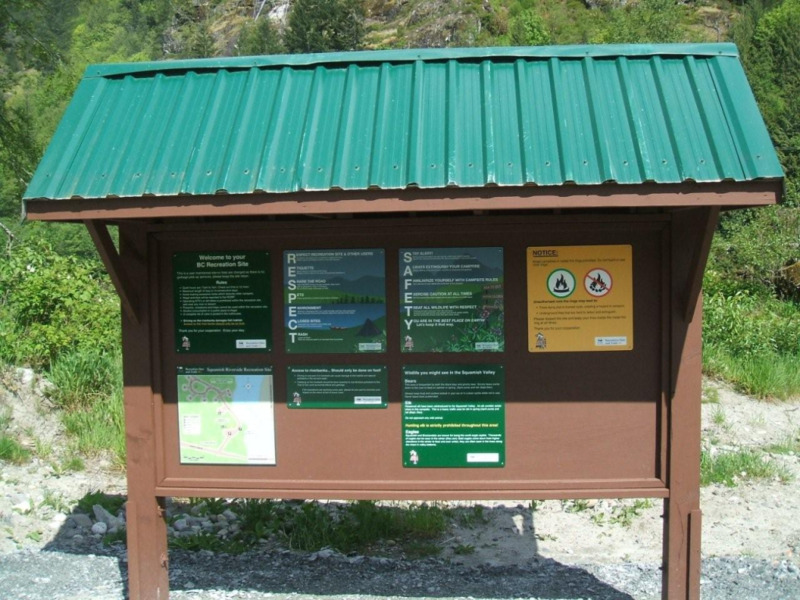 The pavement will end at an open gate (the start of the Squamish Nation Tree Farm License), continue on the dirt road for about 1km, and turn left, over the first bridge you see spanning the Squamish River. The site is located immediately after the bridge on the right side.